The Dreaming Spires are Robin and Joe Bennett, two brothers who not only handle the vocals but also most of the instruments. They have Jamie Dawson playing drums, and their guitarist for live shows, Nick Fowler also plays on many of the tracks here. It's an interesting album - there's a definite Indie rock feel to it - most notably on the opening track "Still believe in you", and that first song almost put me off listening further, but once you progress further into the album things change as a strong 60s pop feel comes through on some tracks, while a Psychedilia feel is present on others - in fact as you listen to the album things are constantly changing. 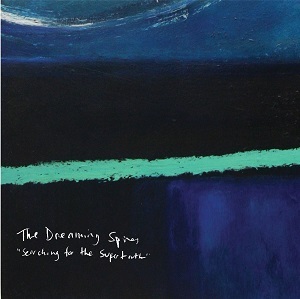 Sometimes where there is as much variety as this it just doesn't really work - it's like a load of random tracks thrown onto a CD, but The Dreaming Spires just manage to avoid that problem and keep just enough similarity between the songs to make them feel like they were put together carefully as an album. A very good album with a lot of diverse influences. Certainly worth a listen.